Width (inside hand grip): 18.5"
I use it inside the house, and also take it with me everywhere I go. Pros:It is very light, and I can handle it. Needed it, got it, am happy.. 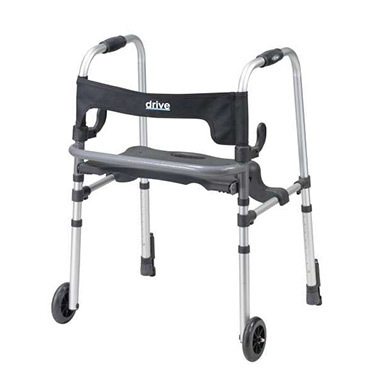 This walker/chair is handy to carry things from room to room. Cons:I can't think of any. MIL needed an upgrade to her existing walker. Health care provider suggested 2 wheel version with a seat. Found this one and it was perfect. Cons:No shipping option to Hawaii. Luckily free shipping to us on Mainland and we had to ship it.